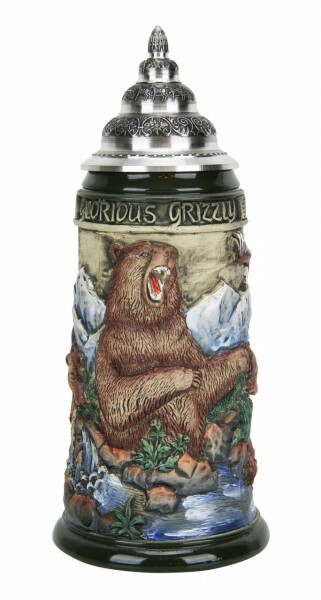 Product information "Grizzly bear beer stein antik painted"
The stein showes you get great Grizzly on the front. Wonderfull designed stein, where you also see tow bears catching salmons near a waterfall. On the side of the stein you also find paw prints. Related links to "Grizzly bear beer stein antik painted"
Customer evaluation for "Grizzly bear beer stein antik painted"